Con l'acquisto di questo prodotto è possibile raccogliere fino a 229 Punti fedeltà. Il totale del tuo carrello 229 Punti fedeltà può essere convertito in un buono di 11,45 €. 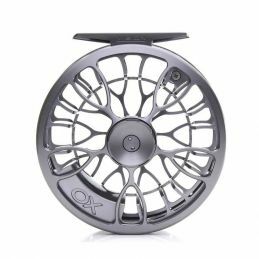 The XLV custom models are built to the same exacting standards and quality as the XLV trout and salmon family of reels. Large arbor design, anodised and with unqiue Vision design features, the XLV custom range offer exceptional performance in a neat package. 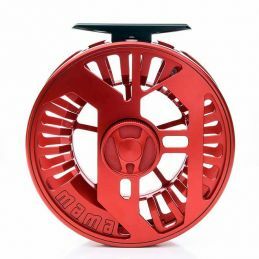 Designed to balance the Nymphmaniac range of rods this reel also features a full rim to eliminate nymph line and mono leader snags. 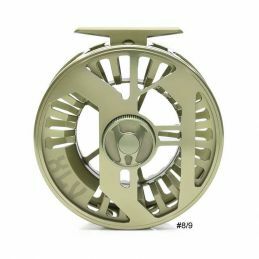 A further modified and super smooth drag brake system with a 360-degree adjustment optimises its performance with light tippets associated with nymph fishing. Mulinelli con ottimo rapporto qualità-prezzo. A great salmon reel doesn’t have to be as light as a feather. The Big Daddy reel is the perfect companion to fish for pike.